Search Results for "blue jay bird"
A blue jay bird perched on a branch in a spruce tree on a rainy summer day. He looks around and then jumps off the branch and takes flight. 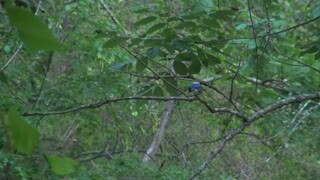 Another blue jay then flies in and lands on the same branch. A Blue Jay Bird flying to and landing on a bird bath while it is Snowing in the winter. 1959: Blue jay bird closeup slow motion feeder habitat house hanging wildlife. CAPE COD, MASS. A blue jay bird perched on a branch in a spruce tree on a rainy summer day. A Blue Jay Bird flies to and lands on an old oak whiskey Barrel. Blue Jay lands at bird bath to quench its thirst in cool water. A blue jay feeds on bird seed. Shallow depth of field. Ontario, Canada. Blue jay lands at a bird bath for a cool drink of water. Blue jay lands at lakeside bird bath to take a cool drink. 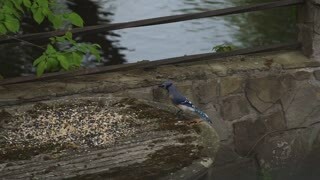 4K: young blue jay splashes in a bird bath located in a wooded back yard. 1950s: Blue Jay looks for food along stream. Birds hop around. Birds fly. Blue Jay (Cyanocitta cristata) in slow motion lands at bird bath to drink. Blue Jay hops onto feeder to gulp down bird seed and nuts.